Thanks to the coaxing of the lovely and talented Maddie Holliday Van Stark, my story “Leave No Trace” will be featured on the Friday March 27, 2015 podcast episode #519 of The Wicked Library. The story takes place on a single night during the infamous Burning Man in Black Rock City, NV, and brings new meaning to the word “sacrifice’. 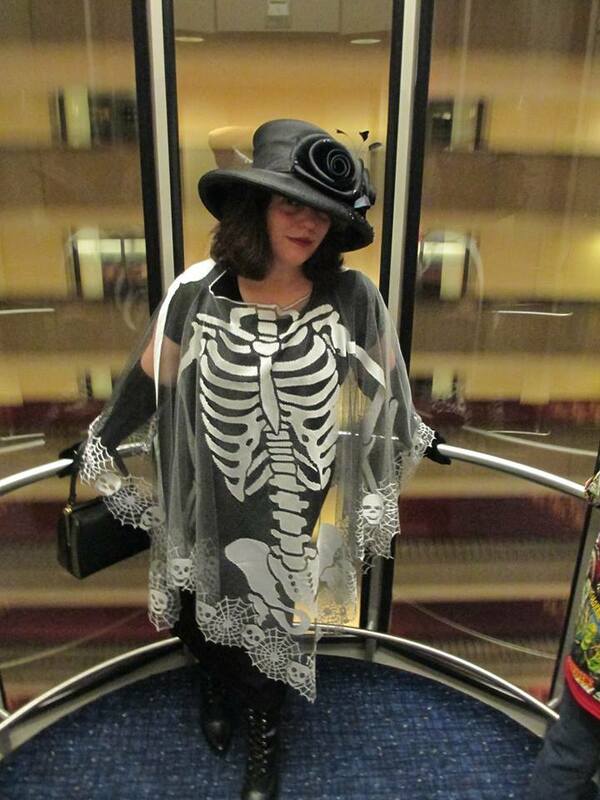 This is the 5th Season of the popular podcast, and last week’s featured author for episode #518 was Bev Vincent. Ms. Von Stark, whose name always makes me envision a wild cowgirl trying to tame horses named Widowmaker (think Slue Foot Sue), will produce original artwork just for the podcast. Her work is dreamy, funky, brilliant, and surreal. Oh, and HORROR-ible. Her work is always supremely, beautifully HORROR-ible. Von Stark’s partner in literary crime is cute and scruffy Nelson W. Pyles. It is his smooth voice that carries the show, giving listeners the opportunity to sit back and just listen to him read good stories. Here is a recent podcast featuring author Adrian Chamberlin’s story “War Pigs” which is a really tense chiller with one wallop of an ending! Ade’s site is http://www.archivesofpain.com and you can fine his work on Amazon.com or .co.uk as well. So, please find some time in the next few days to check out The Wicked Library’s archives. For newbies who aren’t too sure how podcasts work – there is a release date for the episode, and then the episode is available for future listening in the archives. All you have to do is go to the website and find the right episode! (PS – don’t forget that SL Schmitz will be Episode #519). I will post Von Stark’s original artwork for my podcast as soon as it is released. I updated my blog for the first time in a long time. Pages have been deleted, new ones added, and I was able to clean out all of the junk. New stories are being published this year, and I wanted to start fresh. Also, I have a recommendation: The Babbadook is a great movie. See it. AXS Entertainment, the new owner of Examiner.com, has finally accepted me to be one of the AXS Contributors. As I stated back in June and then updated in July, Examiner.com has jumped the shark. I clearly stated my dissatisfaction with the turn of events since AXS Entertainment took over the operations of The Examiner online newspaper. In addition, I sent several emails to the company, not accepting their first answer that the company is ‘going through a transition’. After several back and forth emails in which I clearly stated my qualifications to be transitioned to the new platform, I received the formal invitation last week. Yeah, yeah, fill in my statistics, attach some writing samples, blah blah blah. The acceptance email came a week later, on Aug 9, and I accepted the terms offered. Am I convinced that staying as a contributor to this company is worth the time and effort? Ummm… that would be a big fat NO. In July 2014 I earned a whopping $10 and change from them, so I am still cautious with the opportunities offered by AXS and Examiner. The new terms allow for ongoing posting of content, as well as the ability to ‘claim’ pre-assigned content requests; however the reimbursement for the ‘claimed’ content is so minor, I am pretty sure I won’t bother with it much. Not only that, the rules and regulations for posting the ‘claimed’ content are so detailed and restrictive, I imagine that it is a huge pain in the arse just to get the articles approved for publishing. I’ll post again about this topic in a month or two, after I feel out the new process. If it is worth staying, I’ll acknowledge it. If I need to snicker and walk away, I’ll acknowledge that, too. Oh – and I’m still on a Facebook hiatus until further notice. If you want to get ahold of me, email me at thedeadgirl25 (at) yahoo (dot) com. Oh Oh – one more thing! There are publishing announcements coming soon. Changes and endings. Stay tuned. 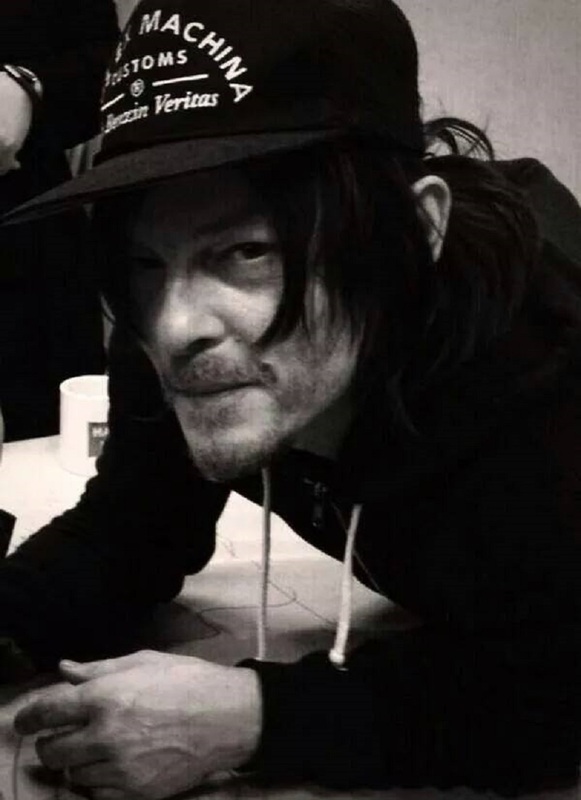 Have you heard about this online newspaper dedicated to Norman Reedus? I am really impressed with the dedication of a small group of Norman Reedus fans who publish an online newspaper called The Rambling Reeduslut. They post topical, fresh content that is culled from international resources and contributors, and they send out new links every 3-4 days. Check it out! Are you afraid of the water? You should be. 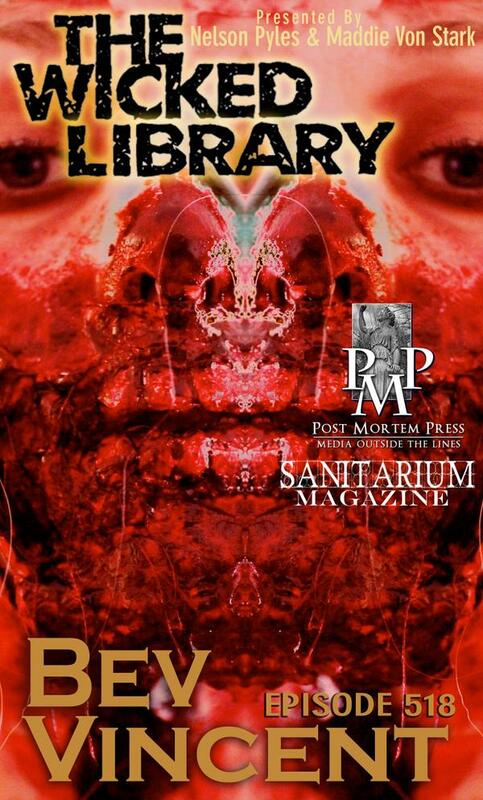 My story, VENA CAVA, has been published as a part of Sirens Call Publications’ new anthology FEAR: Of the Water. The story is the first one in the anthology, and I am excited to be a part of this adventure. This is the part of the blog where I try to persuade you go to Amazon (or whatever eBook/softcover selling website that you prefer) and buy this book. Soooooo…. Go buy the book. Here is the link to buy the book. Not only will you be supporting an excellent small press, you will also be demonstrating that you like what I write. See? Everybody wins. 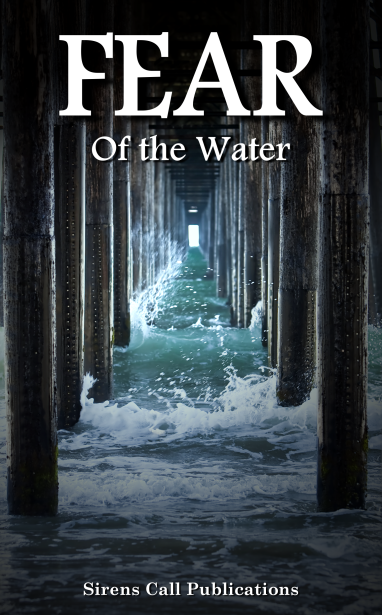 FEAR: Of the Water is now available in eBook and paperback format. According to the summary on Amazon, “In the sodden pages of this collection lurk twelve tales of aquatic terror. Creatures that rise from the depths to gorge themselves on unsuspecting victims, specters who exact their revenge one sip at a time, and shadows that menace the most innocent of gathering places – these stories will warp even your worst nightmares. Contributing Authors in alphabetical order are: Brent Abell, Vincent Bivona, Shenoa Carroll-Bradd, Timothy C. Hobbs, Kerry G.S. Lipp, Jon Olson, Zachary O’Shea, Connor Rice, Justin M. Ryan, SL Schmitz, Blaise Torrance, and Patrick Van Slyke. Sirens Call Publications is a small but dynamic omnipresence in the high stakes field of niche publishers. The well-respected company is spearheaded co-owners Gloria Bobrowicz, Nina D’Arcangela, and Julianne Snow. Through their tireless efforts and editorial nurturing, these three women have built a solid company that prides itself on high quality literature in all styles and genres of writing. It has been a pleasure working with them. I successfully encouraged over 120 seventh graders to independently read classic novels this year, and it wasn’t really that hard. These were not advanced students – they were typical students with a variety of abilities and backgrounds. When I took over a classroom in late March to “fix” a little problem the principal was having with a first year teacher, one of the first things I did was implement silent reading at the beginning of every class. Not only is it soothing to a roomful of jittery tweens to be in a calm, quiet environment for extended periods of time, it also increases reading stamina. Ever taken a middle school end-of-grade reading test? It is three fun-filled hours of tense, silent reading and question answering; it is not easy, and it requires focus and stamina. But seriously – how can we expect these students to survive the lengthy reading exam if they can’t sit still for ten minutes and independently read a book? Require them to read, and everything will work out perfectly. Sounds easy, right? 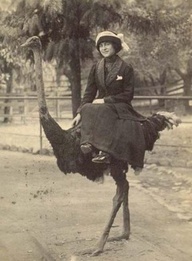 Ummmm… no. See, these seventh graders think they’re so smart. According to the logic of a thirteen year old, if you do not bring a book to class, then you have nothing to read. 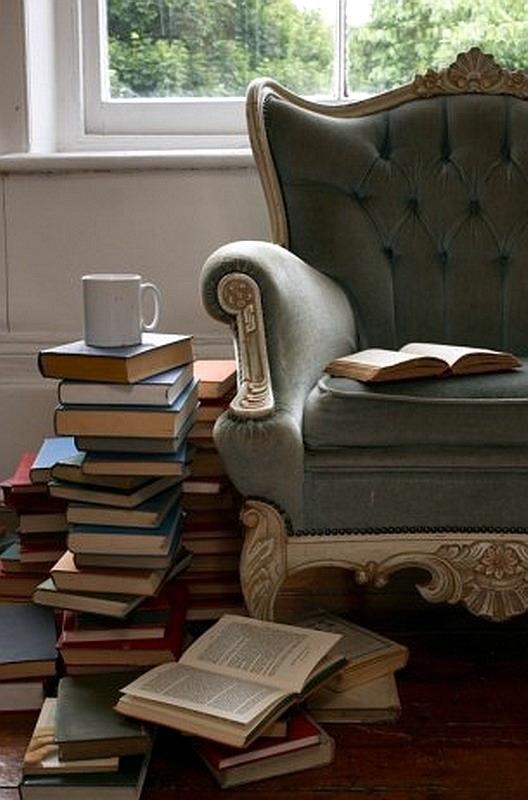 If you have nothing to read, you get to sit at your desk and whisper to your neighbor or try to play games on your laptop. How can the teacher possibly argue with this? No book = no way I’m responsible for doing this silent reading crap, right? Yeah, right. Of course, this classroom (like most classrooms) has a small bookcase full of a variety of softcover books of which the students who do not have books may select one and read it during silent reading time. But again, you gotta think like a seventh grader – having no ownership or personal motivation to read these random books, it becomes a daily joke for them to just grab any old title off the bookcase and hold it in front of their faces for the 10-15 minutes of silent reading. After all, holding an open book in front of you without ever turning a page or reading a word of it counts as reading, doesn’t it? Like all older, wiser teachers, you just have to take the bull by the horns. At this point, I have no choice but to become Supreme Orchestrator of the Structured Classroom. Say good-bye to all of those tattered classroom books – enter specific novel titles choices. When the students entered the room on the third day, they were greeted with an empty bookcase and 3 small piles of novels. The idea was simple – if you cannot manage to consistently choose a book, bring the book to class every day, and read that book from start to finish, well then…. Here are your three options. It’s still a democracy – you still have choices. I can offer differentiation while laying down parameters and attainable goals. In the back of the room I had laid out the abbreviated versions of 20,000 Leagues Under the Sea, Treasure Island, and The Call of the Wild, then I simply told them to pick the one they intended to read. My only rule was they that had to finish the book – there were no book reports due, no notations to jot down, no questions to answer or projects to complete. Just read the book at your own pace until the entire book had been read. The students huffed and puffed, but that first day when 5 of them had not brought their own books to read to class, they had no choice but to choose one of the classics and begin reading. I monitored, but only from a distance. Just read, I assured them in my kindest voice. Just read. Over that first week, we were practicing silent reading for 10 minutes a day. When they started to get wiggly or antsy, I just brought that to their attention and said encouraging things like “Great job – you’ve been reading for 11 minutes. Some of you are starting to lose focus – take a deep breath and refocus and keep reading.” Within three weeks, the class was averaging 20-25 minutes of silent reading with minimal re-focusing. And those classic novels? They read them like wildfire. Without having to be prompted, the seventh graders were gravitating to the stories and reading them every day. They managed their own chapters and place marks, and although they were not aware of it, I was monitoring that they were reading the same book every day. On average, the students could finish one of the abbreviated novels in about a week or ten days. As they finished one and moved on to another, I even heard some positive comments among the kids, including a girl encouraging a boy to read The Call of the Wild. “It was really good!” she said, not because anyone made her say it but it was her own honest opinion. Another positive thing I noticed was that several dozen boys who had never shown any interest in library books except the dreaded Guinness Book of World Records devoured Treasure Island. Even after I signaled that it was time to move on to another activity, I noticed 2 fourteen year old boys hunched over the novel, refusing to put it away. They wanted to keep reading. Can’t beat that, can you? As the year drew to a close and we prepared to take our end of grade tests, I quietly added abbreviated versions of Tom Sawyer, Huckleberry Finn, and Jekyll & Hyde to the choices in the back of the room. Our main library in the school was winding down for the year, and everyone was required to turn in all of their library books for final inventory. Those who did not own their own books joined the group of students in picking one of the classics to read. Suddenly, I had a roomful of tweens independently reading and enjoying classic novels. I made sure that the books were available and did not make a big deal about them. No probing questions, no written work associated with the titles, no group work. I was satisfied to know that 4x a day this classroom was filling up with students with a variety of backgrounds and reading abilities, and those students were purposefully choosing to read a classic novel. In today’s education environment, the Common Core demands that teachers introduce more complex text and encourage deeper understanding of what they have read – I think that I have successfully planted the seeds for future reading involvement. After all, as I add A Christmas Carol to the library in the back of the room, and ask myself when was the last time I wanted to read Charles Dickens just for enjoyment? I found another groovy website, and had to share. 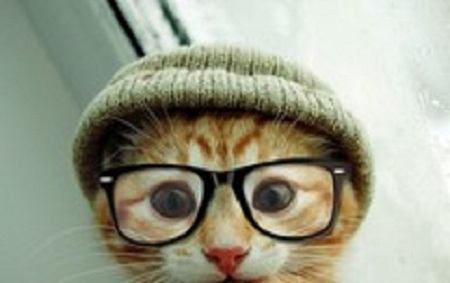 Flavorwire is a place on the internet where all the cool kids hang out. The site has been around for awhile and has developed a real sense of personality and style. The intelligent writers are on-topic and have an insider’s sixth sense of what appeals to the alternative pop culture audience. I really like their “BOOKS” section with such offbeat topics as 15 Amazing Book-Filled Bars Where We’d Like to Drink and Famous People’s Awesome Literary Tattoos. The author of many of these book-related gems is the delightful and imaginative Emily Temple. 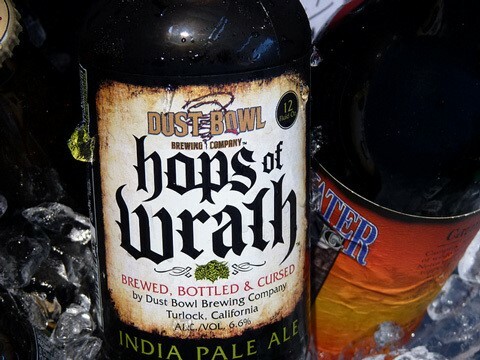 Her latest post deals with the very important subject of 10 Delicious Literary Beers to Drink While Reading . 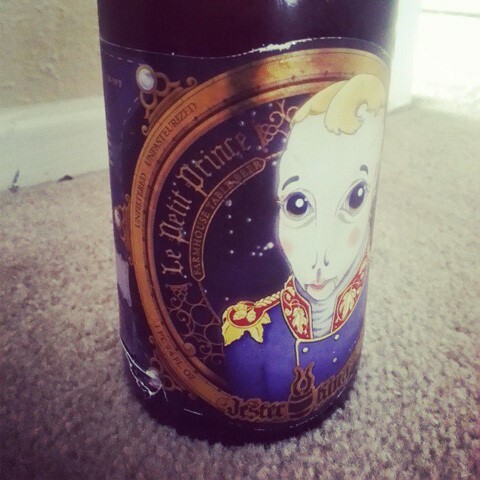 I am soooo tempted to special order The Little Prince Farmhouse Table Beer (Jester King Craft Brewery), if only to own that collectable label on the bottle, and I would like to taste the Hops of Wrath (Dust Bowl Brewing Company), because who wouldn’t want to find out what a beer that is “brewed, bottled and cursed” tastes like, right? PLUS, Flavorwire has an entire Hot Topic Section dedicated to David Bowie. Gotta love that. The Bowie section reports on all kinds of news related to the Thin White Duke, such as Tom Hawking’s Exclusive: Download “Diamanthunde” From John Vanderslice’s ‘Diamond Dogs’ Covers Album and recent musings over which one of Bowie’s costumed characterizations was the least successful. Flavorwire isn’t new, but it is one of the few websites that keeps getting better and better with age. Ch-ch-check it out. Diane Ravitch is a well-respected historian of all things education. She is a Research Professor of Education at New York University, and she is on a mission to save Public Education in the United States of America. Ravitch runs a prolific blog with the obvious name of http://dianeravitch.net. Subscribers to this blog can count on receiving 5-10 posts a day in their email, with all content revolving around the state of public education and up-to-the-minute news on what is going on in the schools of America. The information is sometimes political, sometimes controversial, always informative, and unfailingly proactive towards teachers. As a blogger, I would be comfortable sharing every single one of her posts on a daily basis – she is a voice of reason in a sea of educational insanity – but I don’t want to wear out my welcome. So on those days when I receive truly amazing posts that must be shared, I know that I will go ahead and do it. I can passionately declare my love and allegiance to education by spreading the word the old fashioned way. I shall re-post a re-posting. Thanks for all you do, Diane. Sometimes it just feels like it’s you and me against the educational voucher world. I want to wrap my arms around this post and fall asleep curled around the words. Thank you to pleasekillme.com for posting it, and for celebrating one of the most influential female artists of our century. Patti Smith — if only I could ingest you, smear your wisdom onto my skin and watch it penetrate. When I lived in Connecticut, I met a long-haired boy named David who lived in New York City. I can’t remember his last name, but he was tall and had a nice smile. He lived in the most incredible one-bedroom apartment on Broadway, but it he wasn’t the real owner, He was subletting from an artist, a girl who was living abroad in Italy. The apartment had a large bedroom, a small kitchenette, and a tiny office with a library. 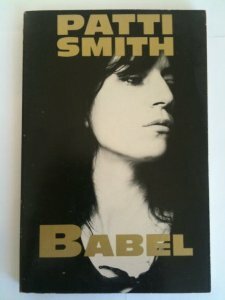 One night when I was visiting him, I explored the books on the shelves and found a novel titled Babel by Patti Smith. It was a signed edition, in perfect condition. I was twenty-two years old, and I had never heard of Patti Smith before. It was 1991, and I had the whole world in front of me. David let me take the book home, even though it didn’t belong to him. I still have it, 22 years later. “Beneath the Southern Cross” is one of my favorite songs from her many, many to choose from. Smith wrote “Beneath the Southern Cross” with Jeff Buckley and released it as a part of her 1996 masterpiece “Gone Again”. There are many versions of this song on utube; I prefer this one because of the simplicity and because Lenny is in it. All hail the Godmother of Punk.